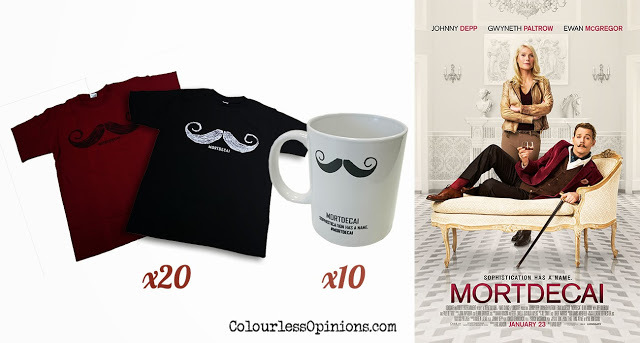 Stand a chance to win Mortdecai merchandises simply by leaving a comment on Facebook post! Now showing at cinemas in Malaysia, Johnny Depp stars as Charlie Mortdecai, an aristocratic art dealer, who has to travel the world in search of a stolen painting that reportedly contains the code to a lost bank account filled with Nazi gold. This film is an adaptation of Kyril Bonfiglioli’s “The Mortdecai Trilogy”. Answer this: Name one (1) actor or actress in the movie Mortdecai other than Johnny Depp. Leave your answer on the comment section of the contest post on our Facebook Page (not this blog post!) and tag a friend in the same comment. Lucky winners will be announced on 28 January 2015 via direct reply to the entry comments. Comments on the Facebook post with the correct answer and a friend properly tagged will stand a chance to be picked as winners. Winners will be selected by random. The prize(s) picked for each winner will be random as well (good luck, I know most of you would want the t-shirt). Winners will need to message (PM) the Facebook Page with Name, I.C No., Contact No. and E-mail Address by 12pm on 30 January 2015 otherwise the prize(s) will be forfeited. Winners must collect their prizes from TGV’s office at Level 6, Menara Maxis, Kuala Lumpur City Centre, 50088 Kuala Lumpur. Their office should be open during working hours only. That’s the only real catch of this giveaway. We are not responsible for the winners’ health, well being, etc. Winners will collect the prizes on their own risk. 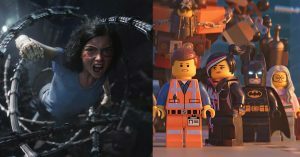 The prizes are sponsored by TGV and therefore ColourlessOpinions.com will not be able to guarantee or warrant the availability, quality, health effects, replacements, etc. To read review on Mortdecai, click here.